With Melbourne in the middle of Spring Racing season, tomorrow thousands of people will be flocking to Flemington Racecourse for a day at the Melbourne Cup. 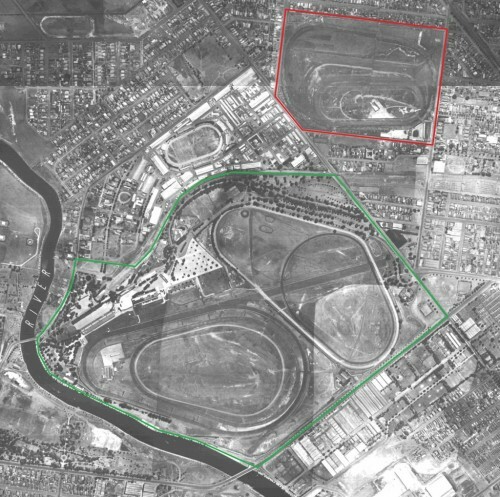 Located on the banks of the Maribyrnong River to the north-west of the CBD, the course has been used horse racing since 1840. 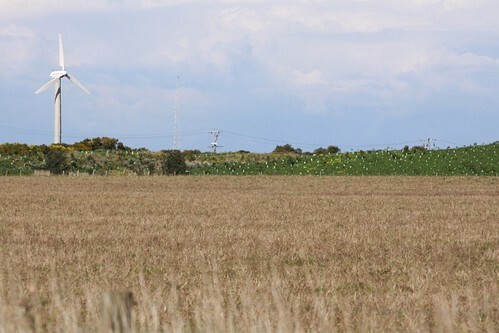 However a short distance to the north there was once another racecourse, which has been all but forgotten by Melburnians. Last week I told the story of how Melbourne’s Middle Footscray station came to be and why more tracks are needed – today we step into the future and look at what will be built as part of the Regional Rail Link project. Welcome to Buckley Street in Footscray. 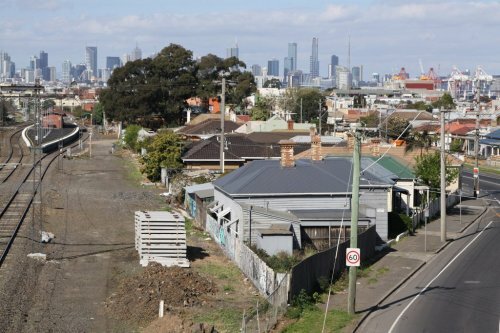 Located near Middle Footscray station, just south of the railway line that links the city to Sunshine, the houses on the north side of Buckley Street have been compulsorily acquired by the State Government to make way for the new tracks that will be built as part of the Regional Rail Link project. Running a bulldozer through a suburb might sound like a one off, but the current railway through the area was built in just the same way. 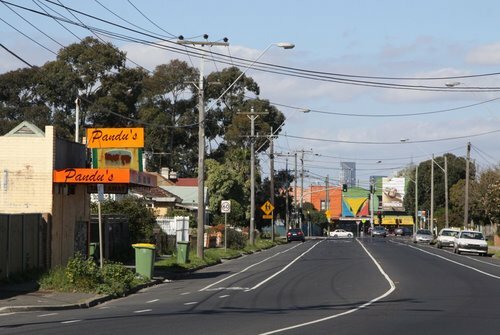 Today in Australia you can find a fast food on almost every street corner, from small family operated Chinese takeaways and pizza shops, through to massive multinational chains. 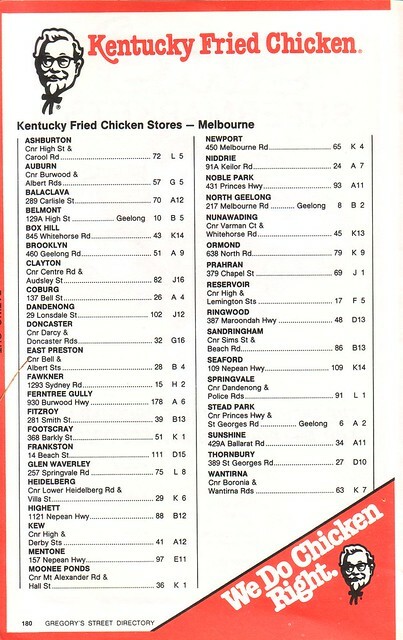 It might be hard to imagine not having a big fast food joint down the road from you, but these advertisements in the 1982-83 Gregory’s Melbourne Street Directory, 14th edition show how few locations they once had.